“For every magnitude unit you go down in size, you get about 10 times as many,” said Ross. Ross and his team combed through a decade of seismic records using over 280,000 earthquakes as template events. They found over 1.6 million new earthquakes as small as magnitude 0.3. Such low levels of ground shaking can also be caused by construction-related vibrations, ocean waves, and nearby aircraft, said Ross. A team of computer scientists, physicists, and software engineers optimized software for Intel’s high-speed communication network to accelerate application codes for particle physics and machine learning. Brookhaven Lab collaborated with Columbia University, University of Edinburgh, and Intel to optimize the performance of a 144-node parallel computer built from Intel’s Xeon Phi processors and Omni-Path high-speed communication network. The computer is installed at Brookhaven’s Scientific Data and Computing Center, as seen above with technology engineer Costin Caramarcu. 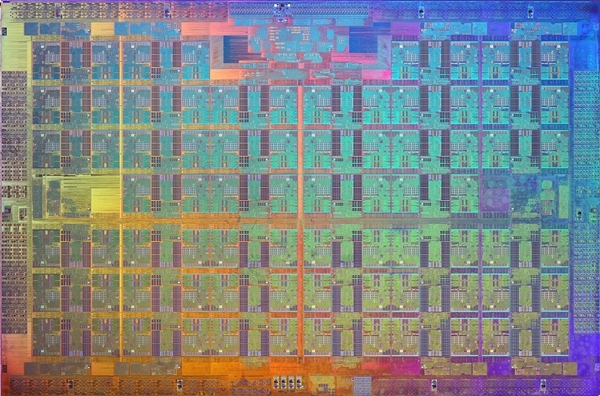 An image of the Xeon Phi Knights Landing processor die. A die is a pattern on a wafer of semiconducting material that contains the electronic circuitry to perform a particular function. Credit: Intel. For decades, Intel Corporation has been one of the leaders in developing HPC technologies. In 2016, the company released the Intel® Xeon PhiTM processors (formerly code-named “Knights Landing”), its second-generation HPC architecture that integrates many processing units (cores) per chip. The same year, Intel released the Intel® Omni-Path Architecture high-speed communication network. In order for the 5,000 to 100,000 individual computers, or nodes, in modern supercomputers to work together to solve a problem, they must be able to quickly communicate with each other while minimizing network delays. Soon after these releases, Brookhaven Lab and RIKEN, Japan’s largest comprehensive research institution, pooled their resources to purchase a small 144-node parallel computer built from Xeon Phi processors and two independent network connections, or rails, using Intel’s Omni-Path Architecture. The computer was installed at Brookhaven Lab’s Scientific Data and Computing Center, which is part of CSI. With the installation completed, physicist Chulwoo Jung and CSI computational scientist Meifeng Lin of Brookhaven Lab; theoretical physicist Christoph Lehner, a joint appointee at Brookhaven Lab and the University of Regensburg in Germany; Norman Christ, the Ephraim Gildor Professor of Computational Theoretical Physics at Columbia University; and theoretical particle physicist Peter Boyle of the University of Edinburgh worked in close collaboration with software engineers at Intel to optimize the network software for two science applications: particle physics and machine learning. For many scientific applications, running one rank (a value that distinguishes one process from another) or possibly a few ranks per node on a parallel computer is much more efficient than running several ranks per node. Each rank typically executes as an independent process that communicates with the other ranks by using a standard protocol known as Message Passing Interface (MPI). A schematic of the lattice for quantum chromodynamics calculations. The intersection points on the grid represent quark values, while the lines between them represent gluon values. 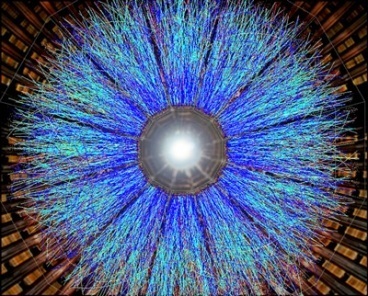 For example, physicists seeking to understand how the early universe formed run complex numerical simulations of particle interactions based on the theory of quantum chromodynamics (QCD). 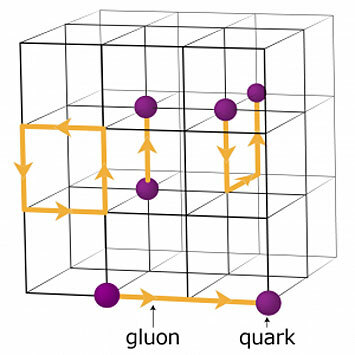 This theory explains how elementary particles called quarks and gluons interact to form the particles we directly observe, such as protons and neutrons. Physicists model these interactions by using supercomputers that represent the three dimensions of space and the dimension of time in a four-dimensional (4D) lattice of equally spaced points, similar to that of a crystal. The lattice is split into smaller identical sub-volumes. For lattice QCD calculations, data need to be exchanged at the boundaries between the different sub-volumes. If there are multiple ranks per node, each rank hosts a different 4D sub-volume. Thus, splitting up the sub-volumes creates more boundaries where data need to be exchanged and therefore unnecessary data transfers that slow down the calculations. To optimize the network software for such a computationally intensive scientific application, the team focused on enhancing the speed of a single rank. “We made the code for a single MPI rank run faster so that a proliferation of MPI ranks would not be needed to handle the large communication load present for each node,” explained Christ. The software within the MPI rank exploits the threaded parallelism available on Xeon Phi nodes. Threaded parallelism refers to the simultaneous execution of multiple processes, or threads, that follow the same instructions while sharing some computing resources. With the optimized software, the team was able to create multiple communication channels on a single rank and to drive these channels using different threads. 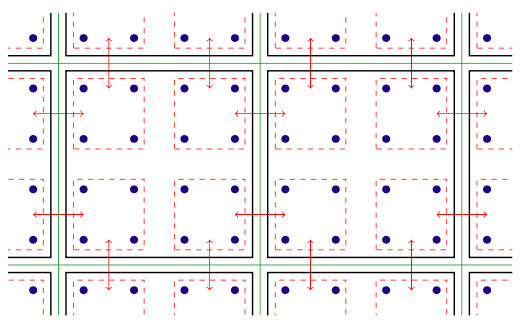 Two-dimensional illustration of threaded parallelism. Key: green lines separate physical compute nodes; black lines separate MPI ranks; red lines are the communication contexts, with the arrows denoting communication between nodes or memory copy within a node via the Intel Omni-Path hardware. The MPI software was now set up for the scientific applications to run more quickly and to take full advantage of the Intel Omni-Path communications hardware. But after implementing the software, the team members encountered another challenge: in each run, a few nodes would inevitably communicate slowly and hold the others back. They traced this problem to the way that Linux—the operating system used by the majority of HPC platforms—manages memory. In its default mode, Linux divides memory into small chunks called pages. By reconfiguring Linux to use large (“huge”) memory pages, they resolved the issue. Increasing the page size means that fewer pages are needed to map the virtual address space that an application uses. As a result, memory can be accessed much more quickly. With the software enhancements, the team members analyzed the performance of the Intel Omni-Path Architecture and Intel Xeon Phi processor compute nodes installed on Intel’s dual-rail “Diamond” cluster and the Distributed Research Using Advanced Computing (DiRAC) single-rail cluster in the United Kingdom. For their analysis, they used two different classes of scientific applications: particle physics and machine learning. For both application codes, they achieved near-wirespeed performance—the theoretical maximum rate of data transfer. This improvement represents an increase in network performance that is between four and ten times that of the original codes. A versatile, low-cost way to study Earth’s interior from sea has yielded its first images and is scaling up. By deploying hydrophones inside neutrally buoyant floats that drift through the deep ocean, seismologists are detecting earthquakes that occur below the sea floor and using the signals to peer inside Earth in places where data have been lacking. In February, researchers reported that nine of these floats near Ecuador’s Galápagos Islands had helped trace a mantle plume—a column of hot rock rising from deep below the islands. Now, 18 floats searching for plumes under Tahiti have also recorded earthquakes, the team reported last week at the European Geosciences Union (EGU) meeting here. “It seems they’ve made a lot of progress,” says Barbara Romanowicz, a geophysicist at the University of California, Berkeley. For decades, geologists have placed seismometers on land to study how powerful, faraway earthquakes pass through Earth. Deep structures of different density, such as the cold slabs of ocean crust that sink into the mantle along subduction zones, can speed up or slow down seismic waves. By combining seismic information detected in various locations, researchers can map those structures, much like 3D x-ray scans of the human body. Upwelling plumes and other giant structures under the oceans are more mysterious, however. The reason is simple: There are far fewer seismometers on the ocean floor. Such instruments are expensive because they must be deployed and retrieved by research vessels. And sometimes they fail to surface after yearlong campaigns. More recently, scientists have begun to use fiber optic communication cables on the sea floor to detect quakes, but the approach is in its infancy. MERMAIDs are a cheap alternative. They drift at a depth of about 1500 meters, which minimizes background noise and lessens the energy needed for periodic ascents to transmit fresh data. Whenever a MERMAID’s hydrophone picks up a strong sound pulse, its computer evaluates whether that pressure wave likely originated from seafloor shaking. If so, the MERMAID surfaces within a few hours and sends the seismogram via satellite. The nine floats released near the Galápagos in 2014 gathered 719 seismograms in 2 years before their batteries ran out. Background noise, such as wind and rain at the ocean surface, drowned out some of the seismograms. But 80% were helpful in imaging a mantle plume some 300 kilometers wide and 1900 kilometers deep, the team described in February in Scientific Reports. The widely dispersed MERMAIDs sharpened the picture, compared with studies done with seismometers on the islands and in South America. “The paper demonstrates the potential of the methodology, but I think they need to figure out how to beat down the noise a little more,” Romanowicz says. Since that campaign, the MERMAID design was reworked by research engineer Yann Hello of Geoazur, a geoscience lab in Sophia Antipolis, France. He made them spherical and stronger, and tripled battery life. The floats now cost about $40,000, plus about $50 per month to transmit data. “The MERMAIDs are filling a need for a fairly inexpensive, flexible device” to monitor the oceans, says Martin Mai, a geophysicist at King Abdullah University of Science and Technology in Thuwal, Saudi Arabia. So far, the MERMAIDs have identified 258 earthquakes, Joel Simon, a graduate student at Princeton, told the EGU meeting. About 90% of those have also been detected by other seismometers around the world—an indication that the hydrophones are detecting informative earthquakes. Simon has also identified some shear waves, or S-waves, which arrive after the initial pressure waves of a quake and can provide clues to the mantle’s composition and temperature. “We never set out to get S-waves,” he said. “This is incredible.” S-waves can’t travel through water, so they are converted to pressure waves at the sea floor, which saps their energy and makes them hard to identify. In August, 28 more MERMAIDS will join the South Pacific fleet, two dozen of them bought by the Southern University of Science and Technology in Shenzhen, China. Heiner Igel, a geophysicist at Ludwig Maximilian University in Munich, Germany, cheers the expansion. “I would say drop them all over the oceans,” he says. 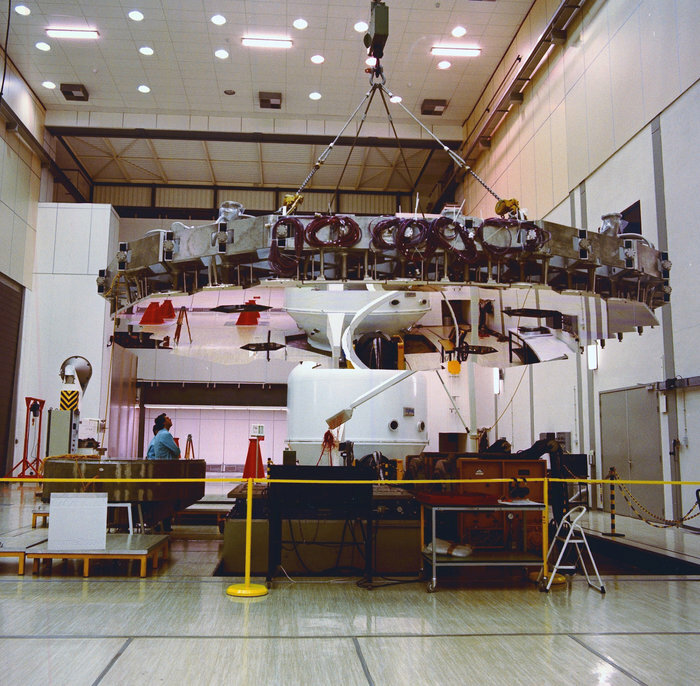 The LSS has tested dozens of space missions over the years, including many of ESA’s largest: as well as BepiColombo, the 8-tonne Envisat and the 20-tonne Automated Transfer Vehicle. For the first time, Yale physicists have directly observed quantum behavior in the vibrations of a liquid body. A great deal of ongoing research is currently devoted to discovering and exploiting quantum effects in the motion of macroscopic objects made of solids and gases. This new experiment opens a potentially rich area of further study into the way quantum principles work on liquid bodies. 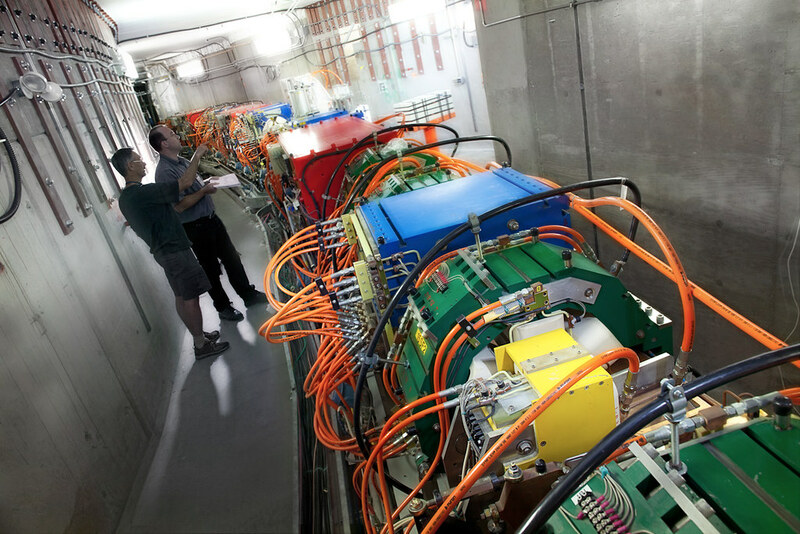 The findings come from the Yale lab of physics and applied physics professor Jack Harris, along with colleagues at the Kastler Brossel Laboratory in France. A study about the research appears in the journal Physical Review Letters. Harris and his team discovered they could detect the sound wave’s quantum properties: its zero-point motion, which is the quantum motion that exists even when the temperature is lowered to absolute zero; and its quantum “back-action,” which is the effect of a detector on the measurement itself. The co-first authors of the study are Yale postdoctoral fellows Alexey Shkarin and Anya Kashkanova. Additional authors are Charles Brown of Yale and Jakob Reichel, Sébastien Garcia, and Konstantin Ott of the Kastler Brossel Laboratory. Berkeley Lab-led research team makes a chiral skyrmion crystal with electric properties; puts new spin on future information storage applications. When you toss a ball, what hand do you use? Left-handed people naturally throw with their left hand, and right-handed people with their right. This natural preference for one side versus the other is called handedness, and can be seen almost everywhere – from a glucose molecule whose atomic structure leans left, to a dog who shakes “hands” only with her right. Handedness can be exhibited in chirality – where two objects, like a pair of gloves, can be mirror images of each other but cannot be superimposed on one another. Now a team of researchers led by Berkeley Lab has observed chirality for the first time in polar skyrmions – quasiparticles akin to tiny magnetic swirls – in a material with reversible electrical properties. The combination of polar skyrmions and these electrical properties could one day lead to applications such as more powerful data storage devices that continue to hold information – even after a device has been powered off. Their findings were reported this week in the journal Nature. When the team of researchers – co-led by Ramesh and Lane Martin, a staff scientist in Berkeley Lab’s Materials Sciences Division and a professor in Materials Science and Engineering at UC Berkeley – began this study in 2016, they had set out to find ways to control how heat moves through materials. So they fabricated a special crystal structure called a superlattice from alternating layers of lead titanate (an electrically polar material, whereby one end is positively charged and the opposite end is negatively charged) and strontium titanate (an insulator, or a material that doesn’t conduct electric current). But once they took STEM (scanning transmission electron microscopy) measurements of the lead titanate/strontium titanate superlattice at the Molecular Foundry, a U.S. DOE Office of Science User Facility at Berkeley Lab that specializes in nanoscale science, they saw something strange that had nothing to do with heat: Bubble-like formations had cropped up all across the device. So what were these “bubbles,” and how did they get there? Those bubbles, it turns out, were polar skyrmions – or textures made up of opposite electric charges known as dipoles. Researchers had always assumed that skyrmions would only appear in magnetic materials, where special interactions between magnetic spins of charged electrons stabilize the twisting chiral patterns of skyrmions. So when the Berkeley Lab-led team of researchers discovered skyrmions in an electric material, they were astounded. Through the researchers’ collaboration with theorists Javier Junquera of the University of Cantabria in Spain, and Jorge Íñiguez of the Luxembourg Institute of Science and Technology, they discovered that these textures had a unique feature called a “Bloch component” that determined the direction of its spin, which Ramesh compares to the fastening of a belt – where if you’re left-handed, the belt goes from left to right. “And it turned out that this Bloch component – the skyrmion’s equatorial belt, so to speak – is the key to its chirality or handedness,” he said. While using sophisticated STEM at Berkeley Lab’s Molecular Foundry and at the Cornell Center for Materials Research, where David Muller of Cornell University took atomic snapshots of skyrmions’ chirality at room temperature in real time, the researchers discovered that the forces placed on the polar lead titanate layer by the nonpolar strontium titanate layer generated the polar skyrmion “bubbles” in the lead titanate. To confirm their observations, senior staff scientist Elke Arenholz and staff scientist Padraic Shafer at Berkeley Lab’s Advanced Light Source (ALS), along with Margaret McCarter, a physics Ph.D. student from the Ramesh Lab at UC Berkeley, probed the chirality by using a spectroscopic technique known as RSXD-CD (resonant soft X-ray diffraction circular dichroism), one of the highly optimized tools available to the scientific community at the ALS, a U.S. DOE Office of Science User Facility that specializes in lower energy, “soft” X-ray light for studying the properties of materials. Light waves can be “circularly polarized” to also have handedness, so the researchers theorized that if polar skyrmions have handedness, a left-handed skyrmion, for example, should interact more strongly with left-handed, circularly polarized light – an effect known as circular dichroism. When McCarter and Shafer tested the samples at the ALS, they successfully uncovered another piece to the chiral skyrmion puzzle – they found that incoming circularly polarized X-rays, like a screw whose threads rotate either clockwise or counterclockwise, interact with skyrmions whose dipoles rotate in the same direction, even at room temperature. In other words, they found evidence of circular dichroism – where there is only a strong interaction between X-rays and polar skyrmions with the same handedness. Now that the researchers have made a single electric skyrmion and confirmed its chirality, they plan to make an array of dozens of electric skyrmions – each one with a diameter of just 8 nm (for comparison, the Ebola virus is about 50 nm wide) – with the same handedness. “In terms of applications, this is exciting because now we have chirality – switching a skyrmion on or off, or between left-handed and right-handed – on top of still being able to use the charge for storing data,” Ramesh said. The researchers next plan to study the effects of applying an electric field on the polar skyrmions. “Now that we know that polar/electric skyrmions are chiral, we want to see if we can electrically manipulate them. If I apply an electric field, can I turn each one like a turnstile? Can I move each one, one at a time, like a checker on a checkerboard? If we can somehow move them, write them, and erase them for data storage, then that would be an amazing new technology,” Ramesh said. Also contributing to the study were researchers from Pennsylvania State University, Cornell University, and Oak Ridge National Laboratory. The work was supported by the DOE Office of Science with additional funding provided by the Gordon and Betty Moore Foundation’s EPiQS Initiative, the National Science Foundation, the Luxembourg National Research Fund, and the Spanish Ministry of Economy and Competitiveness. I cover much more than NASA. I cover universities and science institutions all over the world. There is a concentration on Astronomy and Physics, but I also cover volcanology, earthquake science, ASD, HPC, . What you need to do is read the blog or access the Facebook Fan page, http://facebook.com/sciencesprings which is a pretty rich experience if you do not want to bother seeing the blog posts in full. Okay buddy. I’m not much into science but I surely do find physics and astronomy pretty interesting. I’ll check out your Facebook page for sure. The 2015 eruption of Calbuco in Chile, with the city of Puerto Montt in the foreground. Wikimedia Commons. Volcanoes can be pretty dangerous. Thankfully, we’ve gotten better over the last half century at getting people out of the way of volcanic hazards. However, many hundreds of millions of people still live close enough to volcanoes to feel the impact of an eruption — especially when the volcano decides to have a spectacular eruption. There are a lot of misconceptions out there about what the most dangerous aspects of a volcanic eruption might be. I think many people picture lava flows cascading down the sides of a volcano and imagine that the searing rivers of molten rock are what will do you in. Well, they’re right in one respect: stay in the path of a lava flow and you will likely cease being alive. But luckily, lava flows are actually pretty easy to avoid as they move rather slowly, rarely up to ~30 km/hr (20 mph) but more likely less than 8 km/hr (5 mph). You can probably out-walk most lava flows. So, what is it that makes volcanoes so deadly if it isn’t the copious volumes of lava they can produce? Here’s a little countdown of what I think are the most dangerous volcanic hazards based on the number of deaths associated with them, the potential for damage to houses and infrastructure, the frequency with which they occur and the difficulty of avoiding them. 5. Lava Flows: After all that pre-amble about lava flows, here they are! Though lava flows may not cause many fatalities, the potential damage to infrastructure and homes is very high. Lava flows are also very common at certain types of volcanoes, so with that combination of frequency and destructiveness, we need to take lava flows seriously. The 2018 eruption at Kīlauea is a perfect example, where there were no fatalities but over 700 homes destroyed. However, the lava can be deadly in rare cases. This can happen when the composition and temperature of the lava means it is especially runny, so it travels fast. An eruption of Nyiragongo in the Democratic Republic of the Congo produced lava flows that moved through the city of Goma killing dozens. Lava flow from the 2018 eruption of Kīlauea in Hawaii. USGS/HVO. 4. 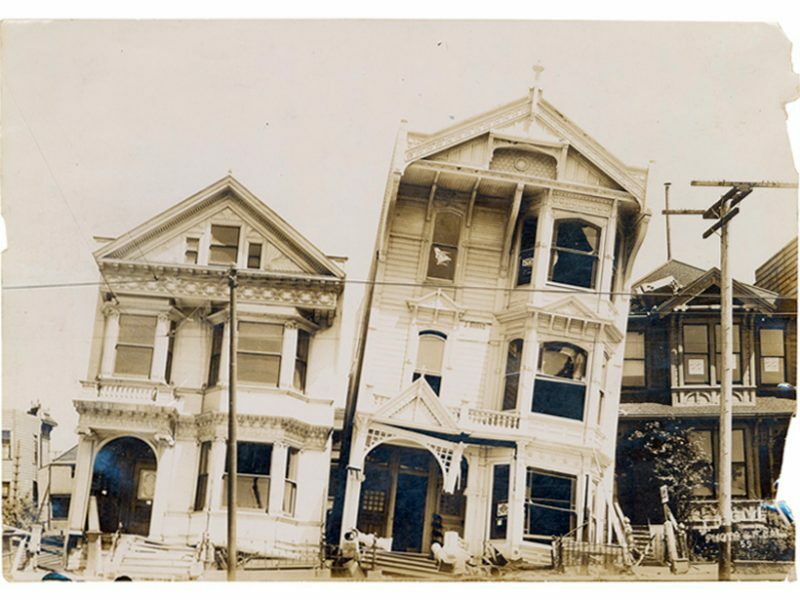 Tsunamis: Tsunamis can be generated by geologic events other than eruptions — in fact, they are more common with earthquakes. However, volcanoes can produce these deadly ocean waves when part of the volcano collapses during an eruption. Most recently, the 2018 eruption of Anak Krakatau killed over 420 people when most of the relatively-small cinder cone collapsed during an eruption. The predecessor to Anak Krakatau — Krakatau itself — generated a massive 30-m tsunami when it collapsed into a caldera in 1883. That eruption and tsunami killed over 35,000 people along the Sunda Strait in Indonesia. Other volcanoes, like Unzen in Japan, have had deadly tsunamis as well. Anak Krakatau not long after the 2018 collapse that generated a deadly tsunami. Alex Gerst – ISS/ESA. 3. Lahars (also known as volcanic mudflows): You might be tempted to think mudflows couldn’t be too deadly, but these rivers of volcanic (and other) debris generated by snow and ice melt during an eruption or heavy precipitation on a volcano are very hazardous. Lahars have the consistency of wet cement and they flow at tens of kilometers per hour down river valleys. Many times, that allows for enough forewarning to escape if you are downriver, but the 1985 eruption of Nevado del Ruiz in Colombia proved that a lack of preparation can lead to over 20,000 deaths. 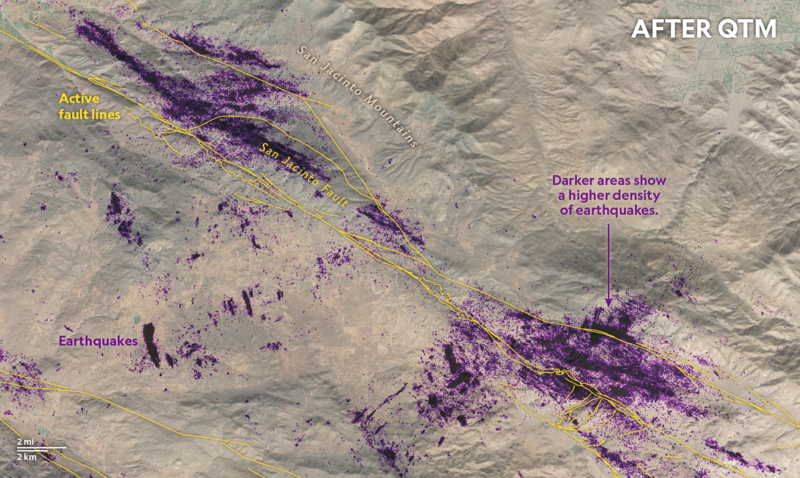 Due to their density, lahars can destroy infrastructure and homes and bury towns (and people) rapidly. They can happen without an eruption, such as when old volcanic debris gets mobilized during heavy rain or snow melt. That’s why volcanoes like Mt. Rainier have lahar warning systems for the towns downslope from the volcano. The town of Chaitén buried by lahar deposits from the 2008 eruption of Chaitén in Chile. Flickr. 2. Ash Fall: It might look like snow, but volcanic ash is nasty. It’s made of tiny pieces of volcanic glass and other debris, so if you can imagine inhaling broken glass, well, you get the idea. It can be carried for potentially thousands of kilometers depending on the size of the eruption and winds. When it piles up, the ash can destroy roofs, contaminate water, annihilate vegetation and even block out the sun. If you are unlucky enough to breathe in the ash, it will coat the inside of your lungs and cut them up, people can die from the silica cement in their lungs and/or from more or less drowning in those fluids. Volcanic ash in the atmosphere can disable jet engines, so flying through even dilute ash clouds is a bad idea. Ash fall can be persistent as well, with a volcano producing ash that might accumulate a few millimeters or centimeters thick for months to years — and as I mentioned with lahars, you can get the ash moving again with heavy rains or even with winds. Buildings destroyed by ash fall at Clark Air Base in the Philippines during the 1991 eruption of Pinatubo. USGS. 1 Pyroclastic Flows (also known as hot ash flows or pyroclastic density currents): If you’re looking for that one-two punch of destruction and potential for major fatalities, it is hard to beat a pyroclastic flow. Imagine a cloud of hot volcanic gases and debris that ranges in size from tiny specks of ash to massive boulders, all moving down a volcano at over 300 km/hr (190 mph) at a temperature over 600ºC. You, your city, everything is toast. Some of the deadliest pyroclastic flows buried Pompeii in 79 A.D., wiped St. Pierre off the map during the 1902 eruption of Pelée, erased towns surrounding El Chichón in Mexico in 1982, snapped enormous trees as they flattened forest at Mount St. Helens in 1980 and buried entire valleys during the 1912 eruption of Novarupta in Alaska and 1991 eruption of Pinatubo. They are landscape-altering events that occur in mere moments. If you don’t get buried in the hot debris, you’ll be sizzled to death in the volcanic gases or choke on the ash. Pyroclastic flow from Mount St. Helens in June 1980. USGS. Pyroclastic flows are generated a number of ways: a collapsing ash column from an eruption, a collapsing lava dome at the top of a volcano or an explosive eruption that moves sideways. Some recent research on pyroclastic flows suggests that they move so far and fast because they travel on a bed of air like a hovercraft. This allows them to travel tens of kilometers from the volcano and “leap” over obstacles. Even seasoned volcanologists can be caught off guard by unpredictable travel of pyroclastic flows. A 1991 eruption of Unzen killed Maurice and Katja Krafft, famed volcano documentarians, along with USGS volcanologist Harry Glicken. Pyroclastic flows need to be taken seriously because you will not survive being in the path of these clouds of volcanic fury.